As softball players start deciding which gold teams to aim for, they’ll start asking themselves what their chances are for a softball scholarship. And if they aren’t, I’m sure as parents start to pull out their checkbooks to pay for playing on these teams, they’re considering the question. After all, it would be nice if there was some financial return on all their investments in lessons, teams, and travel. However, if you’re planning on using softball to pay for college, you might want to develop a plan B option because the odds aren’t great. 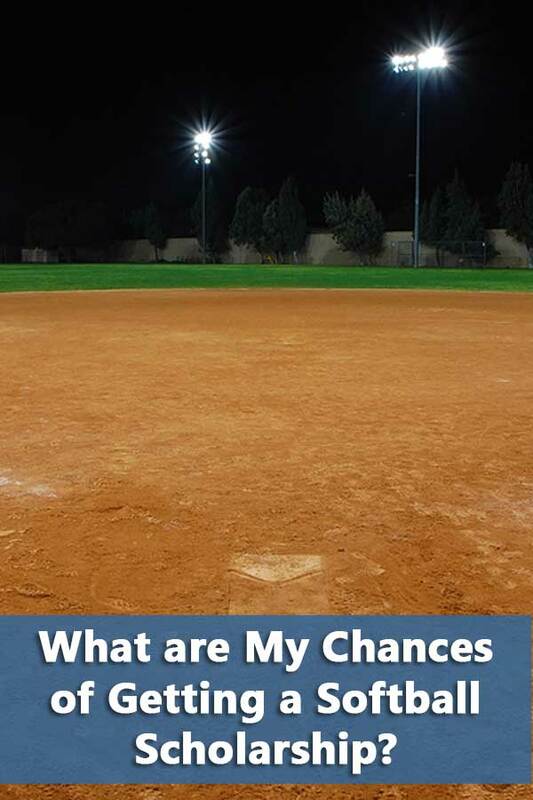 What Are Your Chances of Playing in College? The first step is being able to get on a college softball team. We’re not even talking scholarships yet. According to the National Federation of State High School Associations, there are 15,544 high schools in 2017-18 with girls softball. 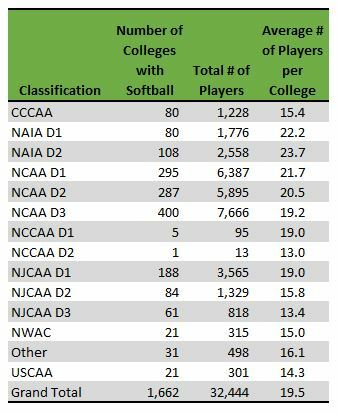 In 2017 the Office of Postsecondary Education reports only 1,662 colleges offering women’s softball–that’s both two and four-year institutions. That means that there’s about one college program for every nine high school programs. The same sources tell us that there were 367,861 high school players and 32,444 participants at the college level. That means there are over 11 high school players for every college player. Of course, not all high school players will even make it to the varsity team but still, the odds aren’t great. As for those who make it to the college level, the chances of getting a softball scholarship are even smaller. Let’s start with the fact the largest group of schools in the NCAA, D3, doesn’t even offer athletic scholarships. 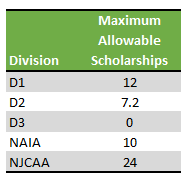 Not all divisions of the NAIA and NJCAA offer scholarships either. Furthermore, the NCAA limits the maximum number of scholarships. That doesn’t mean that the school has to provide that number. Not all scholarships may be fully funded. Coach Shayne Lotito of Bryant University explains that “I know some D1 universities that have 1 scholarship and some that have 12 scholarships. It is not consistent within conferences either, some teams may have 6 and their conference opponents might have 12.” And remember that when they say 6 scholarships, that’s for the entire team, not per year. Ultimately, even if players are good enough to play at the college level, chances of getting a softball scholarship are not good. And players who are recruited before starting high school still have to keep in mind the possibilities of injuries. Make sure you have an alternative plan for paying for college than just softball.